Full disclosure. I am going to tell you to pay money to see this movie purely so you can enjoy Cole Sprouse’s face on the big screen. I cannot guarantee that other positive things I say from this point on are not influenced by my desire for you to enjoy some ginormous Sprouse. 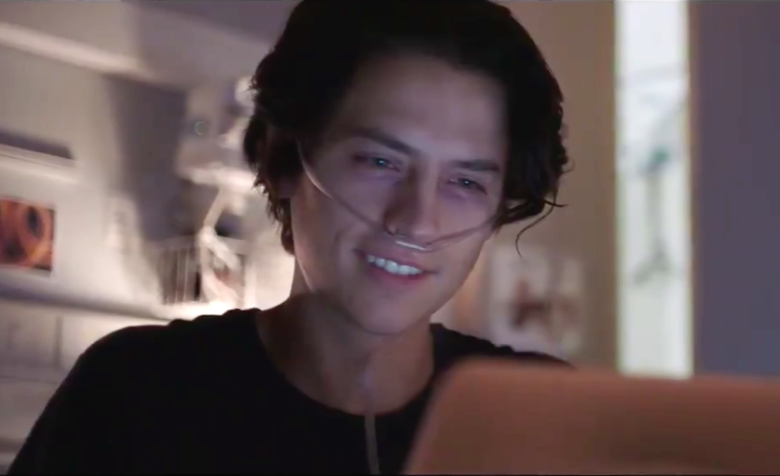 Five Feet Apart follows the very quick flirtation-to-love story of two terminally ill teenagers with cystic fibrosis. Stella (Haley Lu Richardson), is driven to survive for as long as possible and spends her days completing To-Do lists and keeping her world very much under her own control. 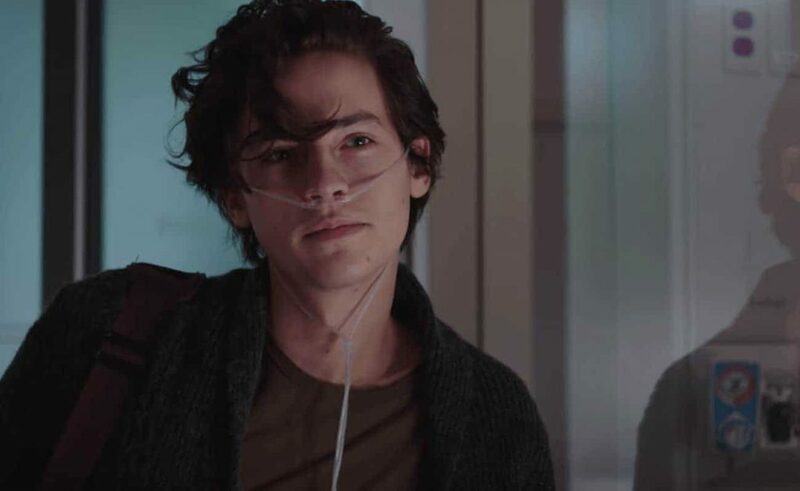 That is, of course, until she meets the wild Will (Cole Sprouse), who has become resigned to his fate and doesn’t see the point in being vigilant with his treatments anymore. They hit it off right away (after the obligatory sassy and fraught initial conversations) which makes things complicated, as they must stay 6 feet apart at all times or else Stella could literally die. Part of me wants to make some joke to justify the stupidity of these two love-birds, about how I would also risk my life for a few moments alone with Cole Sprouse… but even I’m not that stupid (LOL I WOULDN’T). Haley Lu Richardson is a very good actress. I hope to see her in many more things to come and I think she really carries this film – despite it not being the greatest. I keep trying to remember if I was also as annoyingly wishy washy about everything as a teenager – because maybe I was. Maybe these characters aren’t as ridiculous as they seem to me, maybe I’m just too far past my teen years, maybe I’ve blacked it all out to survive. Or maybe they’re not very well written. Cole Sprouse gets A LOT of very cheesy lines. Like, so many. He very nearly pulls off every single one. Very nearly. He’s just so good at the little smirks and the ‘looks’, he gets away with it. Goodness me. The amount of tragic teen movie tropes Five Feet Apart crams into a single movie is a hard pill to swallow. But use Stella’s trick, and cover it with enough Calci Yum (cole-yum – okay I crossed a line there), and it’s still manageable. Moises Arias is also pretty brilliant in the role of Stella’s hospital BFF, Poe. It was pretty clear to me right from the start, how a lot of the film was going to play out – but Poe was so disarmingly sweet, I found myself getting swept up in it all regardless. The characters who really shone for me, were the nurses. Sheesh nurses are awesome. If you’re a nurse – I applaud you wholeheartedly. If you know a nurse – flipping show them some love. Director, Justin Baldoni, snuck his beautiful wife Emily onto the cast list and she gave a very heartfelt and genuine performance. The nurse who really shone though, was Barb, played by Kimberly Hebert Gregory. If only the world was full of humans more like Nurse Barb. Parminder Nagra, who I only know from Bend it Like Beckham, pops up as a pretty cool Dr too! Otherwise the adult actors were all pretty average to be honest. Will’s mother (Claire Forlani) possibly being the worst of the lot. 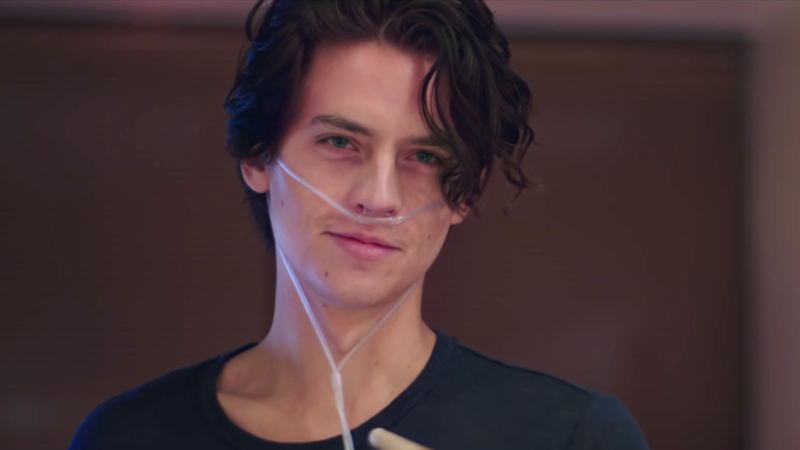 You may see other reviewers claiming this is a movie for teenage fan-girls of Cole Sprouse. However, I believe Cole Sprouse fan-girls of any age will get a kick out of this one. Or people who enjoy crying over tragic teen love stories with all the tropes that come with them. Or people who like Cole Sprouse.